Chile is a notoriously expensive country. That’s why it is so surprising – and refreshing – to find many free things to do and see in the capital of this narrow country wedged between the sea and the Andes mountains. During Santiago’s dry and sunny summer (December-March), enjoy exploring the parks and neighborhoods. The city’s cold and rainy season is May-September, when temperatures dip to -8ºC (18ºF) in July. These are also the wettest months, with snow possible in July and August. During this austral winter, several museums will provide you with shelter while exploring Chile’s history, cultural and nature. 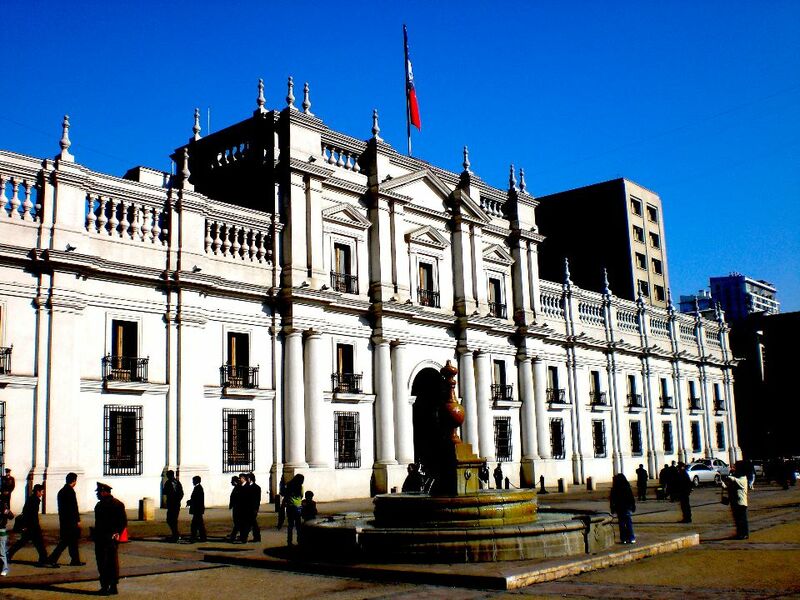 Chile has a long and fascinating history, all of which you can catch up on at the National History Museum. 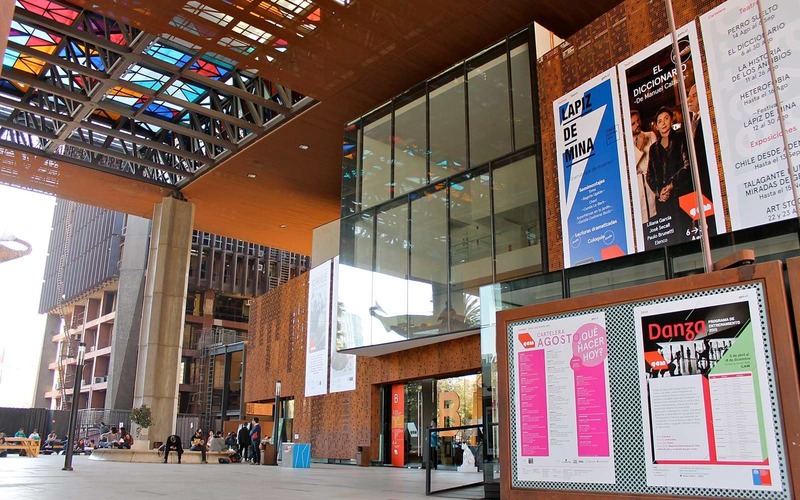 The 18 galleries of permanent exhibits of artifacts and art cover the scope of Chilean human history, from the first inhabitants to the early 1970s. Exhibit descriptions are in Spanish and English (the English text can also be accessed on the museum’s website). Temporary exhibits are regularly shown as well. 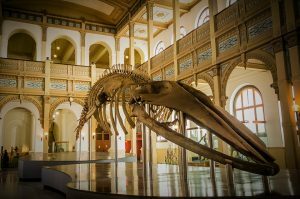 After learning about Chile’s human history, you can head off to the National Museum of Natural History to find out more about the flora and fauna of the country. The extensive exhibits discuss the ecology of Chile’s eight principle ecosystems, from the northern deserts to Antarctica. One of Chile’s most beloved 20th-century musicians was Violeta Parra, famous for her song “Gracias a la Vida.” But she was much more than just a singer-songwriter; she was also an acclaimed artist. This museum teaches us about her life and creativity, and includes many of her personal items. Exhibit signs are in Spanish, Mapudungun, English, French and Braille. Check the website for concerts, theater, films and other events on the agenda (many are free but require reservation). Santiago’s somber Memory and Human Rights Museum has three stories of exhibits that examine the terror that reigned from 1973 to 1990 after the overthrow of the democratically elected Allende government. This museum is very well laid out and captivating. An audio self-guided tour (in a choice of six languages) is available for a small fee. The building also houses archives of the period, a cafeteria, and an auditorium that hosts lectures, documentaries and other events. 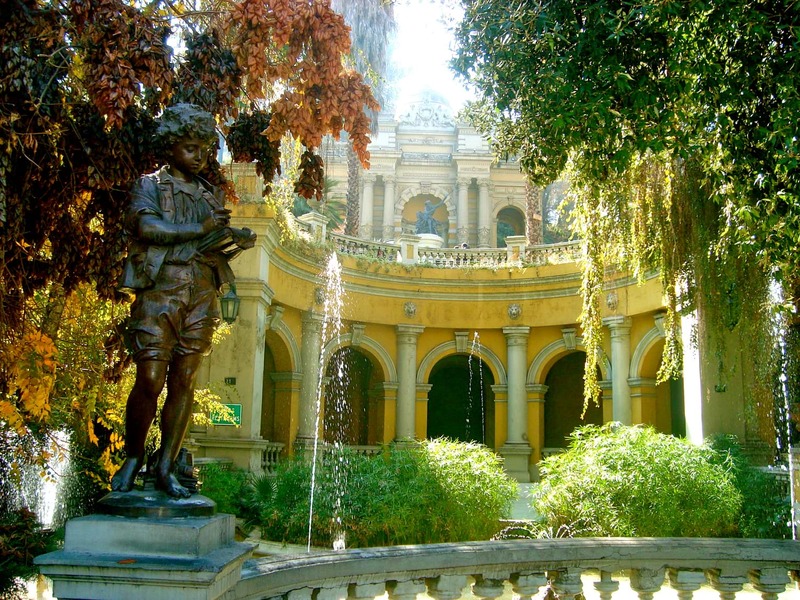 Not all of Santiago’s museums are locked away in buildings. The Museo a Cielo Abierto (Open Air Museum) is a collection of stunning street art. Over 40 graffiti-murals by national and international artists adorn buildings in the San Miguel neighborhood. You can spend a day here wandering around and having lunch at a local restaurante. 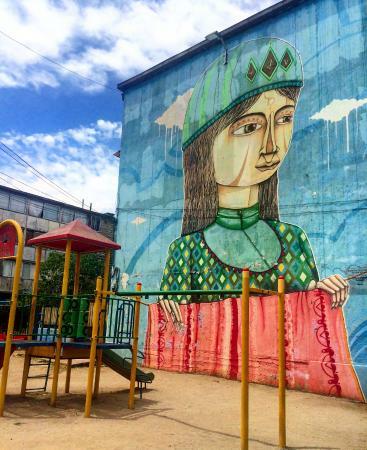 If the seasonal rains of Santiago keep you inside (or if you can’t find a travel buddy to accompany you on your visit to what some locals consider an “iffy” neighborhood), you can see the murals online. 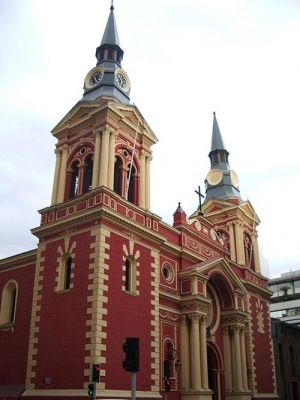 Santiago’s Tourism Office offers a free tour (in Spanish) of the historic center’s most important churches: Iglesia de Santo Domingo, Catedral Metropolitana, Basílica de La Merced, Iglesia de San Agustín and Iglesia San Francisco. But, of course, you may visit the churches on your own. Iglesia de Santo Domingo (Santo Domingo 961 and 21 de Mayo) dates from the 16th century. The present neo-classic-baroque temple was built in the 18th century. The Catedral Metropolitano (Plaza de Armas and Calle Catedral) is the site of many of the nation’s solemn celebrations. It is the final resting place of not only archbishops and bishops, but also the hearts of the four hero captains of the Battle of Concepción. The main altar is made of white marble, bronze and lapis lazuli. Basílica de la Merced (MacIver 341 and Merced) is considered to be the capital’s most beautiful church. In the main altar is the church’s patron, Virgen de la Merced, brought from Spain in 1548. On the second floor of the cloister is a small museum. Iglesia de San Agustín (Estado 180), one of the “newer” churches of colonial Santiago, is home to Señor de la Agonía (also known as Cristo de Mayo) which was one of the few figures that survived intact from the 1647 earthquake that destroyed the city. Iglesia San Francisco (Avenida Libertador Bernardo O'Higgins 834), Santiago’s oldest temple, dates from the 16th century. Its thick stone walls have helped it to survive earthquakes. The Virgen del Socorro, which you see in the main altar screen, was the first Catholic image brought to Chile. 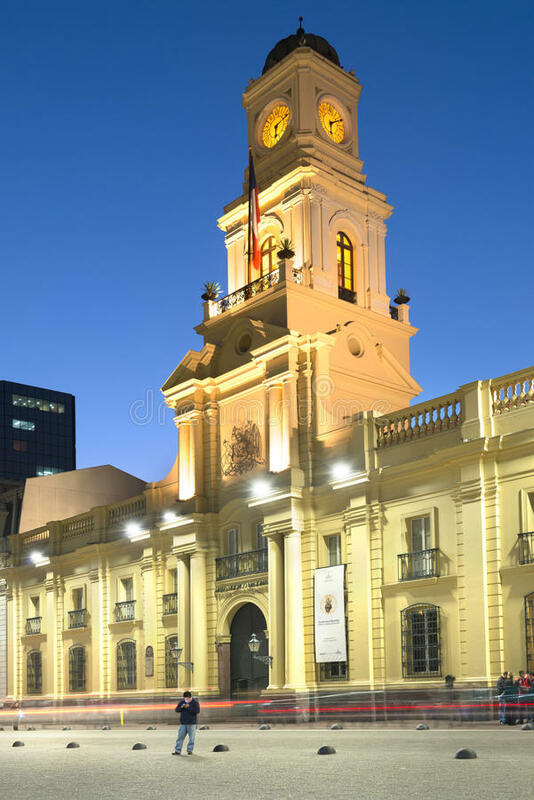 Originally built in the early 19th century to be the Spanish Coin Mint (and thus its name), La Moneda served as Chile’s Presidential Palace between 1846 and 1958. In 1973, it was bombed during General Pinochet’s overthrow of the Allende government. (If you look closely, you can see where the bullet holes have been patched over.) Today, this neo-Classic palace is open to the public. Free tours (in Spanish or English) are given several times daily; reservations must be made at least a week in advance (http://visitasguiadas.presidencia.cl). The changing of the guard occurs every other day at 10 a.m., and Saturdays at 11 a.m. Also within the La Moneda are a cultural center with galleries of permanent (free) and temporary (entry fee) exhibits, and a café. 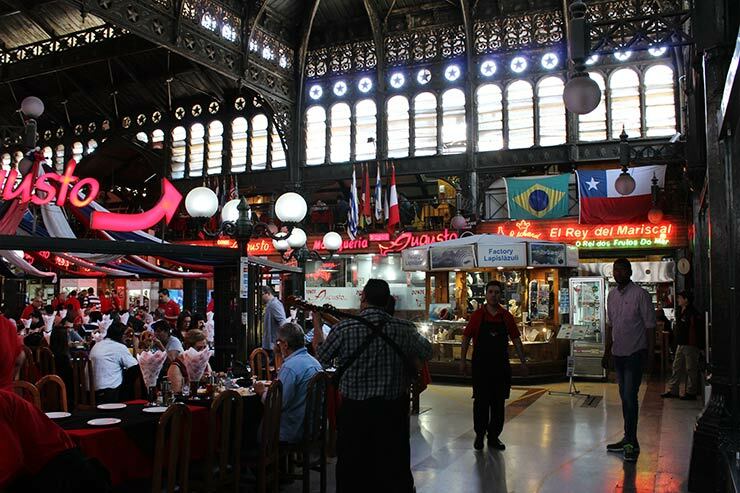 Santiago’s Mercado Central was designed by Chilean architect Fermín Vivaceta. Since the latter half of the 19th century, this glass and steel structure has housed a variety of stalls, from fruits and vegetables to butchers and cheeses. In these modern times, travel agents and crafters even find a place here. Come early in the morning to avoid the tourist crowds and see Santiagueños making their daily purchases – and catch a typical breakfast alongside your new neighbors. 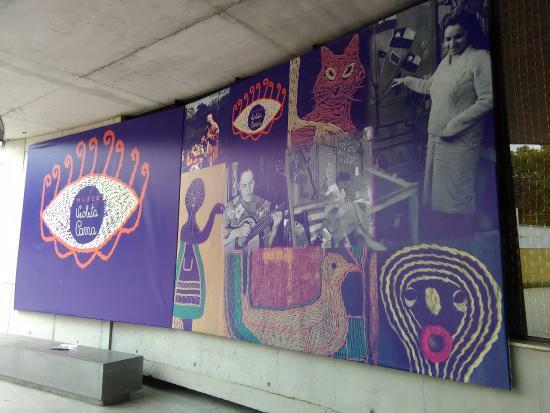 Named after Chile’s famous poet, Nobel Prize laureate Gabriela Mistral, GAM has several collections of Chilean contemporary and folk art. If you’re looking for something to do in the evening, check the website for upcoming concerts, lectures, cinema and other activities, both free and with entry charge. Free guided tours (in Spanish) are offered; previous reservation is required. Also within the complex are a café, restaurant, gift and book shops, and library. Santa Lucía Hill is a must-see for all visitors to Santiago. At the foot of this 70-meter (230-foot) high hill, Santiago de la Nueva Extremadura was founded by Pedro de Valdivia in 1540. Spend a few hours strolling down the paths to the fountain on Neptune’s Terrace (near where there is a tourism office), Castillo Hidalgo and small neo-Gothic chapel. Daily at noon, the Spanish cannon atop the hill is fired. Free bilingual tours are conducted every Sunday and Monday, at 10 a.m. Pack a picnic lunch and head out for a day’s respite from Santiago’s hectic vibe. 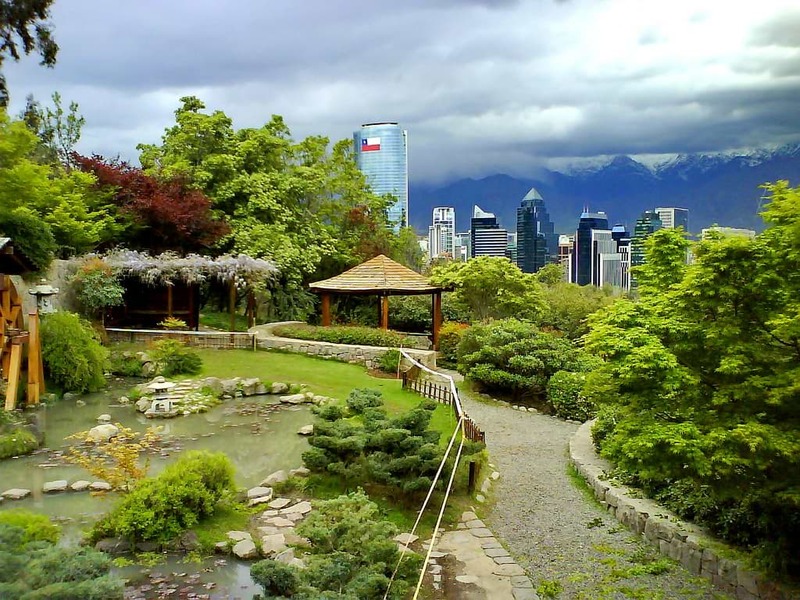 The Parque Metropolitano offers you wondrous views of Santiago and the Andes beyond from various miradores. This 720-hectare park encompasses the Manquehue range of hills, including Cerro San Cristóbal (860 meters / 2,282 feet a.s.l. ), atop which is the Santuario de la Inmaculada Concepción shrine. The park includes eight hiking trails through a variety of natural landscapes. Save some time to smell the flowers at the one of the botanical gardens: Chagual (http://www.jardinbotanicochagual.cl) and Mapulemu, both featuring native Chilean flora; and Jardín Japonés, th perfect place to meditate. For respite from sun or rain, take refuge in the Expo Centenario, a small history museum, or the Casa de la Cultura Anahuac. A fee is charged to enter the National Zoo and two swimming pools (open in summer), as well as to ride in the teleférico and funicular. If you get tired of walking, you can catch a park bus (fare). No matter whether politician, musician, artist or common José – we all have a common final “meeting” place: the cemetery. 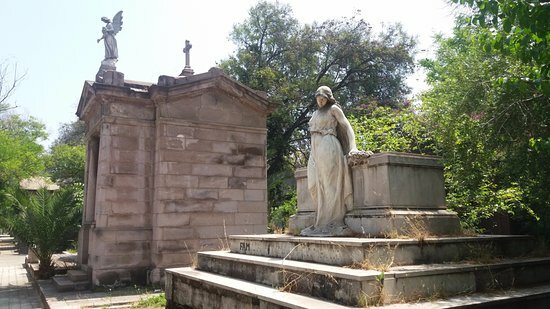 In Santiago’s Cemeterio General, you will find an avenue with the tombs of all of Chile’s presidents (except Pinochet), and a variety of famous cultural figures like singers Violeta Parra and Víctor Jara. (Jara was executed in the National Stadium after the 1973 overthrow; his tomb is now a shrine.) A breathtaking plaza with large heads pays homage to the victims of the 1973-1990 dictatorship. Stroll through and you may stumble upon people making petitions at some of the folk saints’ graves. Monday - Friday 8:30 am - 6 pm.